My family emigrated from the former Soviet Union to the US when I was 10, and our cultural heritage of ritual celebrations comes from that background. The most important Soviet celebration was New Year’s Eve, a combination of Thanksgiving and Christmas rolled into one. A few hours before midnight, close family and friends gathered together. There was always a big New Year’s tree with a bright red star on top, and a huge dinner table piled with delicious food. We socialized with each other, toasted to the old year, and had a great time. The last half hour before midnight was a time of rising anticipation and excitement, which built up until the last minute of the old year. Then, the conversations quieted down and everyone started counting off the seconds out loud – 60, 59, 58. The counting grew louder as the new year approached – 10, 9, 8 – until everyone was shouting – 3, 2, 1, Happy New Year! 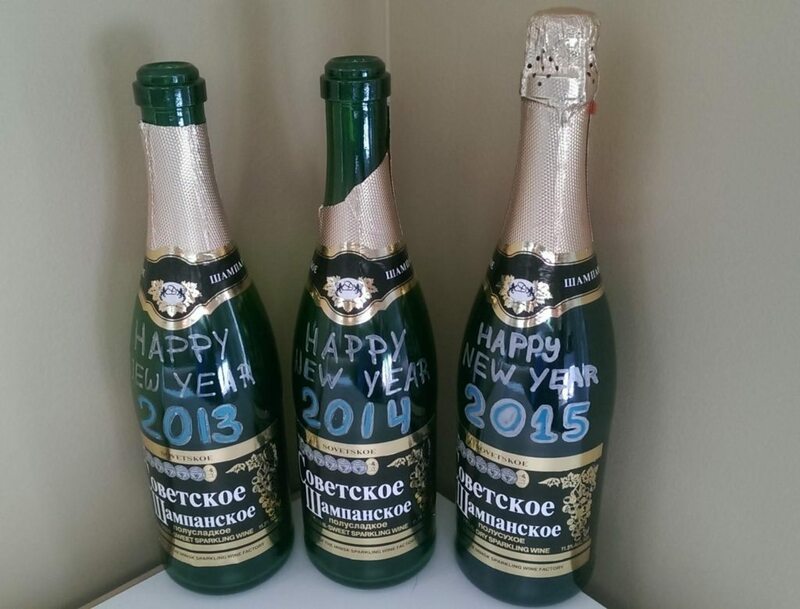 We popped the champagne bottles and ate delicious Slavic candies. It was a great time, and one that was very meaningful to me. When I moved out of my parents’ place, I also left behind our family ritual traditions. The one I missed most was New Year’s Eve. So did my wife and fellow Co-founder, Vice President, and Chief Empowerment Officer of Intentional Insights, Agnes Vishnevkin, whose family also emigrated from the former Soviet Union when she was 12. Thus, when we finally established a permanent household in Columbus, OH, in 2012 we decided to try to create our own family ritual for New Year’s Eve. We thought of what we felt as most important from our cultural heritage of celebrating New Year’s Eve, and concluded that what we really wanted was to be with people to whom we felt close. Therefore, we decided to throw a party at our place for the new circle of friends we made in Columbus. 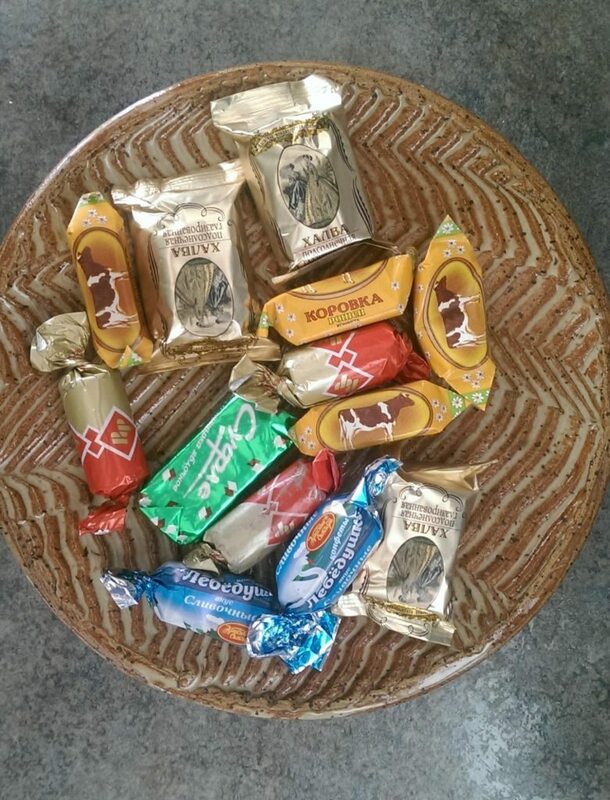 We also incorporated some elements from our Slavic heritage, such as Soviet champagne and candies. We even created a fun game, where party participants competed for who could popular the champagne cork the furthest up the staircase at our place. Although that game led to some wall and ceiling damage, the entertainment value was worth it. This constructed ritual celebration carried a great deal of meaning for my wife and I. It speaks to the broader relevance of rituals and celebrations for gaining a sense of meaning and purpose. Research on rituals shows their importance in maintaining and transmitting cultural values, including what a specific culture perceives as the key elements of meaning and purpose. Scholars also highlight how rituals serve as a vital contributor to social bonding and community belonging, a key element of gaining a sense of meaning and purpose. Religion has been one of the most common sources of ritual experiences, especially in the United States. This helps explain why religion is so deeply associated with meaning and purpose in the US. Yet religion does not have to be the main source of rituals, by far. My research on the Soviet Union, as this brief Youtube video indicates, describes how the government reconstructed traditional ritual celebrations along new lines after the 1917 Revolution. These rituals both served to help people enjoy themselves and find meaning and purpose, and also to further the government’s political agenda. Research by others on the Soviet Union and other authoritarian countries supports my findings. Reconstruction of ritual traditions happened in capitalist states as well. For example, in the United States, the capitalist marketplace has been gradually commercializing traditional religious holidays such as Valentine’s Day and Christmas. Consumerism has increasingly displacing the religious rituals involved, and Americans have grown more and more prone to celebrating Christmas and other holidays in a secularized fashion. As you see, rituals are not fixed – they are constructed and reconstructed over time, to fit people’s needs. So why not take matters into your own hands and gain greater agency by choosing rituals that help you achieve your own goals, including attaining a deeper sense of meaning and purpose? Think about what are the most meaningful elements of rituals for you. Then, consider constructing your own ritual tradition for yourself and others close to you, as Agnes and I did with New Year’s Eve. In another example from my personal life, my closest friend circle constructed our own ritual celebration of the Winter Solstice, called SolstApocalypse since we first celebrated it in 2012 when there was a widespread concern over Mayan Calendar’s prediction of an apocalypse. At SolstApocalypse, we affirm and celebrate each other’s accomplishments and growth over this past year. Besides constructing your own rituals, you can also choose to join a community that has ritual celebrations that meet your personal goals. Currently, religious communities provide the large majority of ritual celebrations, but secular folks have more and more opportunities in local secular communities. Right here in Columbus, OH, the Humanist Community of Central Ohio offers secular celebrations of the Summer Solstice, the Winter Solstice, and other secular holidays. The First Unitarian Universalist Church of Columbus provides a welcoming space for both believers and non-believers to celebrate secularized rituals from a variety of faith traditions. Over the last few years, secular folks have been organizing major national events, most prominently the New York Winter Solstice, but also events such as Darwin Day and a whole host of other secular holidays with ritual elements. If your own local secular community does not currently host such holidays, I would encourage you to show initiative and agency to organize such celebrations, on the basis of resources provided in the links given above. What kind of benefits, if any, did you get from rituals in your own background and cultural heritage? Do you think you can gain a deeper sense of meaning and purpose from reassessing and revising your current rituals and celebrations? If so, what steps can you take to achieve your goals? How can you engage your social circle and local communities in this endeavor?